‘Stories express beliefs, values and ideas’. This was one of the cenral ideas being explored at the International School of London near Gunnersbury. I was really pleased to be invited to run storytelling workshops at their school. We looked at the role of storytelling in different cultures and storytelling techniques. My class were culturually diverse and some children had English as their second language. This was a great opportunity to bring in folk tales from around the world using different storytelling techniques. We looked at a tale from Arabia much to the delight of one of the pupils from that part of the part of the world. In keeping with their oral storytelling traditions, my story began with a tale about the story, contained lots of drama and grand sweeping gestures. Whilst telling my story, I shared a few props as visual aids linked to the tale. 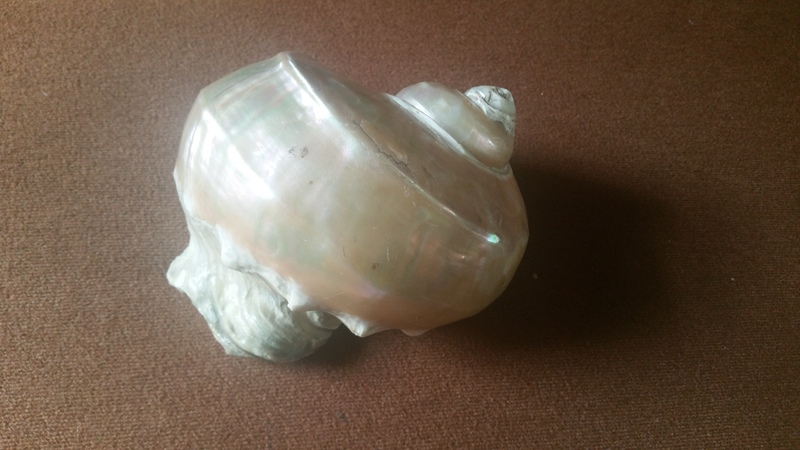 As one of my stories was about a fisherman, I brought along a beautiful shell which is incredibly heavy to hold. We passed it around and everyone had fun trying to hear the ‘sea’ from the shell. We also looked at a trickster tale from Africa, where the animal characters traditionally mirror behaviour seen in mankind. Someone weak, or less powerful often comes out as the victor, with the badly behaved character being taught a lesson or defeated in some way. In keeping with traditional African oral storytelling techniques, the children particpated in the story and had a chance to repeat chants and responses to my phrases. It was lots of fun and always a real pleasure to see their eyes open wide, listening intently for the next part of the story. 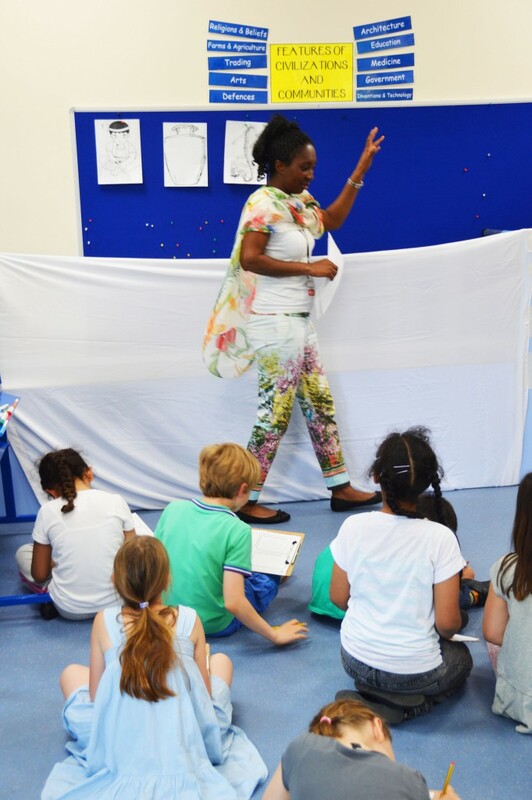 As it was a storytelling workshop, I got the class to take part in a few story making activities which led to them retelling a version of the tale themselves. 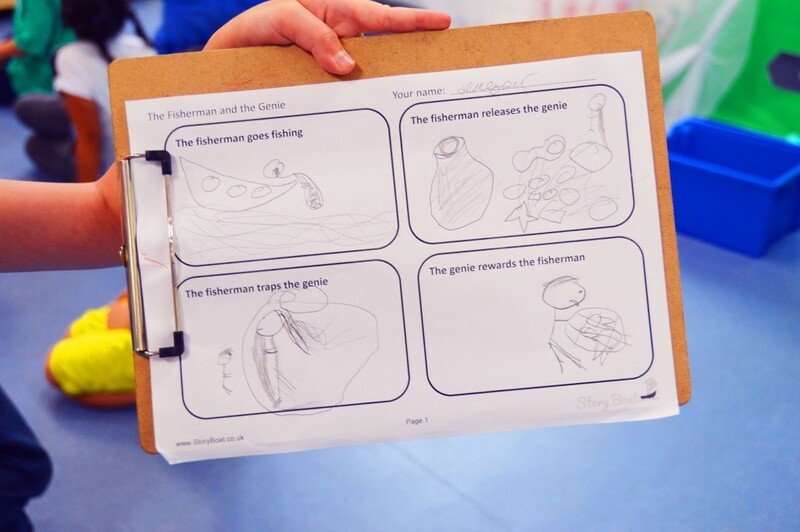 They made some wonderful story maps with a Story Boat template of each stage of the story. This helps them to retell the story later. Some children like to draw symbols or pictures of the story and write words and sentences.